You may think that the only reason to clean your carpets is to make it look nice and fresh. While this is one reason for cleaning, it is also important to understand that carpet cleaning is a health investment. Carpets are incredibly prone to accumulating dirt, dust, debris and moisture. Over time, these substances allow germs, allergens and other pollutants to grow in a carpet. Pollutants present in carpets can cause a range of health problems, including wheezing, chronic allergies and asthma. Not only that, soiled carpets will start smelling in no time and ruin your internal environment as well. Regular vacuuming and mopping may make your carpet look clean. But the truth is that these household measures simply cannot remove all germs from your carpet. In fact, a carpet which appears to be clean may be far dirtier than you think it is. This is why you should hire professional experts to clean your carpets every once in a while. Professional cleaners use advanced commercial grade equipment to remove all dirt, debris, stains and germs from your carpets. Carpet Cleaning for Perth is the ultimate name in carpet cleaning in Warwick, WA 6024. We’re an established company and we cater to all markets, including residential, commercial, real estate and insurance. Our services are timely, reliable, affordable and guaranteed to offer you 100% satisfaction. 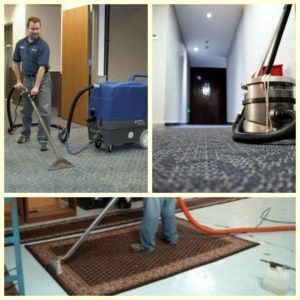 Carpet Cleaning for Perth is a trusted and reputed name in professional carpet cleaning. We have years of experience in cleaning carpets of all materials and types. We employ trained technicians who are incredibly skilled at cleaning carpets. Our expert cleaners make use of advanced equipment and sophisticated cleaning agents for carpet cleaning. This allows us to deep clean all types of carpets without causing any damage to materials. We even offer additional services including rearranging of furniture, sanitising and deodorising of carpets and adding stain resistant protective coatings. When you choose us, you don’t have to do any work at all. Simply call our cleaning experts, sit back and enjoy high quality professionalism. Our technicians will do everything for you while you watch. And, to top it all, we won’t leave unless you’re 100% satisfied with our cleaning service. You may be under the impression that professional carpet cleaning is a costly affair. However, this isn’t true at all. Here, at Carpet Cleaning for Perth, our cleaning services are incredibly affordable. And, this in no way indicates that we compromise on quality of services. When you choose us, you enjoy the highest level of professional service that not just meets, but exceeds your expectations. With us around, there’s simply no need to put off cleaning your carpet. No matter how old, dirty or worn out your carpet may be, we can restore it to a fresh condition. Our cleaners will ensure to use the best cleaning techniques that will breathe new life into your carpet. Don’t delay – hire us for all your carpet cleaning needs now! Upholstery is an important aspect of your furniture, whether it is in your home, workplace or any other setting. Upholstery adds character and uniqueness to interiors. However, upholstered fabrics are prone to collecting dust, stains and pollutants. Not only do dust, stains and pollutants make furnishings unsightly, but they are also not hygienic. If your upholstery looks tired and run-down, then its high time you invest in professional cleaning services. Professional upholstery cleaners can restore the beauty and character of your upholstered furniture. You may think that you can regularly clean and maintain your upholstery, but this will never offer the best results. 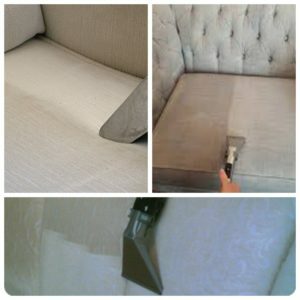 Professional cleaners make use of advanced equipment, specially designed products and unique methods to clean your upholstered furniture. Not only will they remove all dust and stains, but they can also remove allergens and foul smells from your furniture. Carpet Cleaning for Perth is your go-to assistant for all your upholstery cleaning needs in Warwick, WA 6024. We specialise in providing cleaning services for upholstery of all kinds and we cater to both commercial and residential establishments. When you choose Carpet Cleaning for Perth for your upholstery cleaning, you get to enjoy a range of benefits. We employ trained technicians who are incredibly skilled at cleaning upholstery of all types. Our technicians use eco-friendly and safe products, that clean your upholstery thoroughly without leaving any harmful chemical agents behind. Furthermore, we use unique techniques and cleaning processes which allow quick drying of upholstered fabrics. This means that you can use your furniture almost immediately after we’re done cleaning. We take utmost care in cleaning upholstery to ensure that no damage is done to your fabrics during cleaning. Our methods are safe and effective and you need not worry about your fabrics getting shrunk when we clean. No matter how old, worn out or dirty your upholstery may be, you can always count on us. Thanks to years of expertise in cleaning, we can remove all dust, dirt, stains and pollutants from your upholstered fabrics easily and effectively. At Carpet Cleaning for Perth, we follow a unique, systematic process to clean upholstery. First of all, our technicians will do a pre-inspection of your upholstered furniture to determine the best cleaning process. Once pre-inspection is done, our technicians will vacuum clean your upholstery with industrial grade equipment. After vacuum cleaning is done, we will go forward with shampooing, foam based cleaning or hot water extraction to remove all stains and embedded dirt. We use special chemicals which remove almost all germs and pathogens from your upholsteries. Finally, we deodorise your furniture and even add a stain resistant protective coating to your fabrics. What’s more is that our services are guaranteed to offer you 100% satisfaction. Our technicians simply won’t consider their job done unless you’re completely satisfied with our service. We’re here to rejuvenate your old upholstered furniture. Give us a call to avail of the best cleaning services today! Tiles and grout are spongy and porous in nature and dirt and dust often gets trapped in these pores. This makes tiles look dull, dark and dirty. This dirt which is embedded in the pores of tiles is incredibly difficult to clean. Every homeowner or business owner knows that mopping and scrubbing of floors does not remove such embedded dirt. Here’s where professional tiles and grout cleaners can help. Professional cleaners make use of sophisticated cleaning methods to remove all embedded dirt and dust from tiles and grout. Furthermore, professional cleaners can also add protective sealants that prevent your tiles and grout from accumulating dirt in the future. Carpet Cleaning for Perth is the number one name for tiles and grout cleaning in Warwick, WA 6024. Our unique cleaning process will keep your tile surfaces, grouts and countertops fresh and clean. We boldly go where household mops and bottled cleaners do not dare going. Here, at Carpet Cleaning for Perth, we have a team of trained and dedicated technicians who are incredibly adept at cleaning tiles and grout. Moreover, we make use of state of the art equipment and modern cleaning techniques for cleaning. Our expert cleaners can clean out all embedded dirt and grime and restore the aesthetic charm of tiles. We have years of experience in cleaning tiles and grout. Whether you have natural tiles of man-made tiles, we handle it all. We even offer stripping and sealing of natural tile materials and apply sealers and protectors to tiles. When we’re done cleaning, you’ll find your tiles looking as good and new. Furthermore, you’ll also find it easier to clean and maintain your tiles once we’re done. Our trained technicians will ensure that you’re completely satisfied with our service. Whatever your need may be, whether it is restoring old tiles or protecting new ones, we’re the ones to call. You may be cleaning your tiles on a regular basis. But the truth of the matter is no matter how well you clean, your tiles will always contain germs. Pet dander, allergens, bacteria and fungi often hide within the pores of tiles and grout. Normal household cleaners simply cannot remove germs from tiles. Again, professional tile and grout cleaners can help you out. Professional cleaners, such as us at Carpet Cleaning for Perth use special chemicals to clean tiles and grout. Our chemicals are non-toxic, eco-friendly and safe for your family. Not only do we clean, but we also ensure to remove all allergens and germs from your tiles. Don’t put up with dark and dingy tiles – you’ll only be risking your health. Call us, the professional tile and grout cleaning experts to transform your environment into a healthy one. Regular household cleaning simply does not cut it. Your home may look clean on the surface, but it really contains a lot of dirt, grime and germs. Moreover, when it comes to problem spots and stains, ordinary cleaning methods fail miserably. This is why you should invest in professional cleaning experts. Carpet Cleaning for Perth is your go-to option for all your home or workplace cleaning needs. We’re a reputed and established company and we have several years of experience in offering cleaning services. Whether you need to clean your carpets, tiles and grout or upholstered fabrics, we can handle it all. Our services are reliable, efficient and very reasonably priced. Also, we employ trained technicians who are wonderful at what we do. We also offer a 100% satisfaction guarantee on our cleaning services. With us around, there’s really no reason put off cleaning your home or workplace. Just give us a call, book an appointment as per your convenience and let our professionals handle all cleaning for you. Call us now!